Any office environment needs to function properly and your printer or copier system can do just that. Most businesses need to print documents on a daily basis and depending on your needs, you can either rent printers or you can buy your own reliable equipment if you need to do high volume printing. There is a unique solution for your every need, making printing solutions a great addition to your office. If you need to print documents like statements and invoices on a daily basis, you may consider renting printers for your office. This is often a great and cost effective solution as renting means you can have what you need, when you need it without needing to purchase expensive equipment. Similarly, if you do high volume printing, like a printing house or a graphic design agency, you might consider buying your own equipment as this will be better for your business in the long run. You can choose the units you need and purchase them with the goal of ensuring you give the best possible quality prints to your customers. But it is also important to know exactly what you should buy. Printers and copiers can definitely boost your business as they allow you to be more productive and keep your costs down, if you buy the right equipment. Printing can be cost effective, especially if you buy energy efficient printers and copiers that also have reasonably priced consumables to offer. This means you can choose a printing solution that works with your office budget, allowing you to benefit from high quality printing solutions that are also cost effective for you to maintain in the long run. 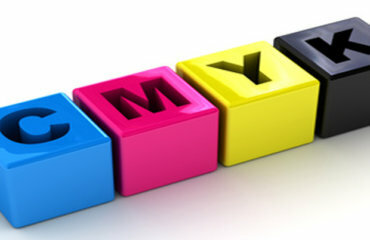 You should also consider a reliable printing brand like Xerox to reduce the amount of maintenance needed. With a reliable printing solution you will also be able to print for longer periods of time before you need to replace consumables or any other parts. When you rent printers you can choose the amount and type of printers that will work perfectly with the work demand of your own office. Document Excellence is a leading supplier of Xerox printers or copiers in South Africa. We are a Xerox authorised partner and can help you to find the best office equipment for your unique needs; you can also rent printers from us. Contact us today to find out how we can help you with all your office printing and consumables needs.